Image credit: Filipiknow.net. Painting by Amorsolo. Filipino matrimonial customs looked extremely peculiar to de Zúñiga, and particularly because he was a priest. First of all, men married relations excepting their own sisters. If, for some reason, a man found it impossible to live with his wife or if he grew tired of her, he was allowed to return her to her parents. Moreover, the parents were even required to restore the dowries that the man had paid to them so he could marry their daughter in the first place. If you are thinking that this was remarkably one sided, no it was not. Image credit: Philippine American War, 18999-1902. All the while, she would also be making utterances which those present all believed were prophecies. When done with the mumbo jumbo, she would slay the hog and immediately distribute parts of its carcass to those present. As per custom, a man was allowed to marry only one woman. 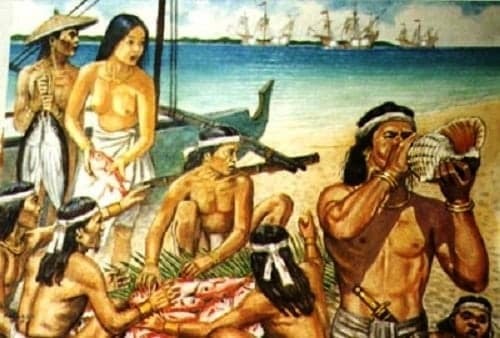 However, de Zúñiga noted that prominent – he used the word “principal” – people often had concubines and that commonly these were slaves. Anyone found guilty of adultery was made to pay a fine. 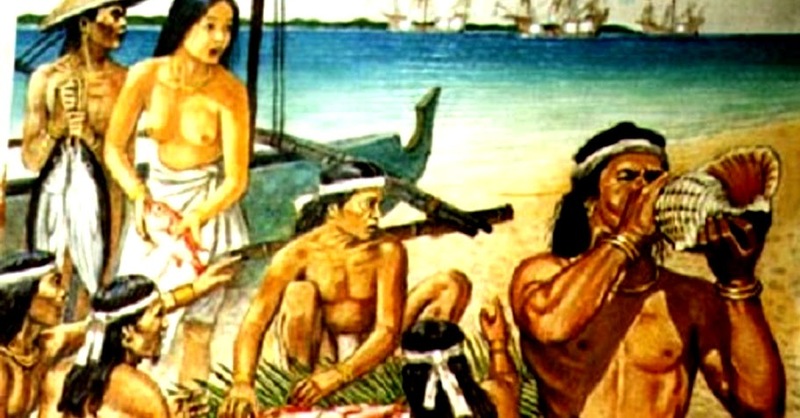 De Zúñiga noted that although these early Filipinos had a written language, they did not apparently have written laws. Civil cases were decided by the Rajah, with the help of elders. In criminal cases, he wrote, “kinsmen were accustomed to compound with the aggressor for a sum in gold.” In case of murder, retaliation was the only acceptable atonement. Anyone accused of robbery was asked to pull out a stone from a cauldron of boiling water. If he was unable to do so, he was required to pay a sum of gold, a great part of which had to go to the Rajah. Anyone found guilty of disrespect for elders was made to pay a fine. However, there were no punishments for fraud or cheatings in one’s dealings. Usury was not only also not punished, it was also quite common. 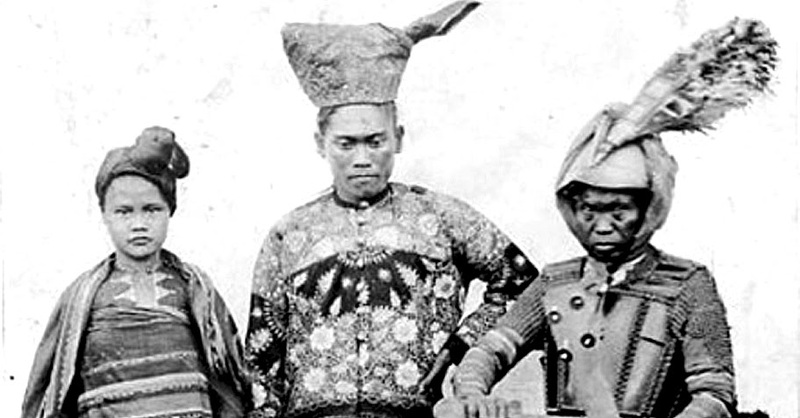 These early Filipinos, expectedly, were very superstitious. They believed that the souls of their ancestors lived in very large trees or rocks of unusual shape and formation. They also believed in a spirit called the “patianac,” which was supposed to amuse itself by preventing the delivery of a woman in labour. In the present day, the “tigbalang” or “tikbalang” is still frequently talked about, but more as a mythical half-human and half-equine creature.